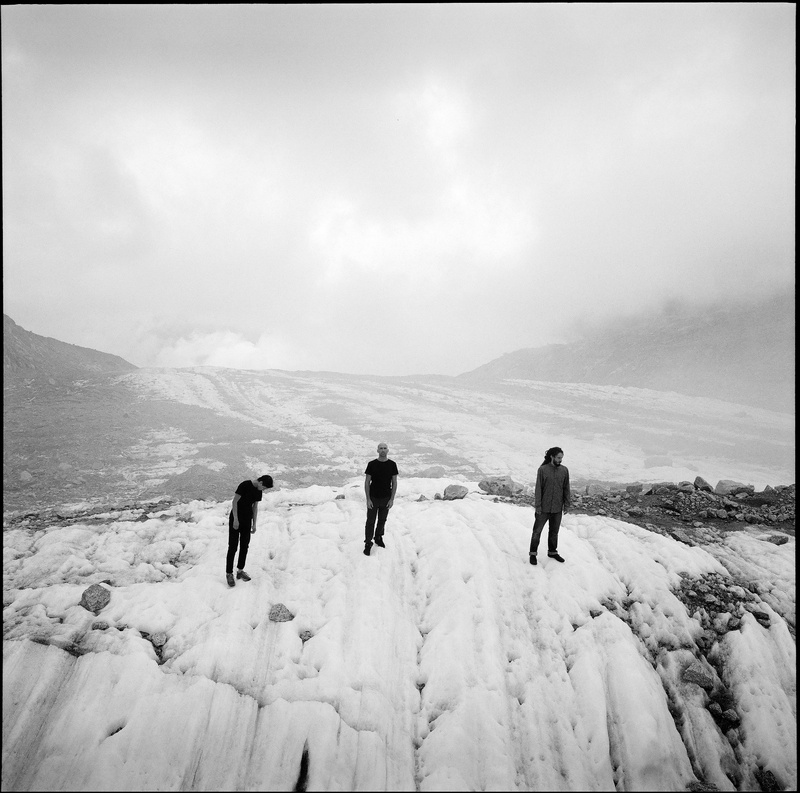 Swiss trio, Kaos Protocoll are fond of sweeping statements: « Punk-jazz provocators », « No concept as concept », « No track ends as it begins » – these are just some of their cheeky mantras aimed at focussing your listening toward the left-field attitude they strive to cultivate. Freshly released on the Prolog Music label, Questclamationmarks is their second LP which the band describe as being more mature, complex and mysterious than its previous little brother, largely inspired by a recent tour across Eastern Europe and Russia during which they excelled in their live performances, honing their various radical free-jazz, funk and electronic influences. The driving wheel behind this LP is British pianist and composer, Django Bates, a familiar name on the Swiss German jazz scene since his appointment as Professor of Jazz at HKB school in Bern. His role as producer came about after stumbling across the band during a live gig. Vague inflections of Loose Tubes-inspired mayhem sit well next to the chaotic, busy style that has become the band’s trademark, especially appreciated in live situ. But Prof Bates’ presence is gratefully felt here in the clarity of composition, arrangement and production, resulting in a body of work that is « rough in attitude but very well structured » to quote bass player Benedikt Wieland. The beast has not been totally tamed, just steered in a direction where the mish-mash of influences and barrage of sound have been refined, organised and, to some degree, conceptualized. As a result, it’s more of an unpredictable but elegant carousel ride, rather than a dirty punk collision course. A good case in point is the track « Ein Stück zum Mitsingen » – lots going on here: crazy bebop singing melodies, pounding wall of sound beats, furious sax à la Greg Osby, all chunky and funky with a definite giggle going on, wrapped up in a perfect package and just the right duration for the laugh to tickle. The sound is enthusiastic, clean and fresh. “Maybe you” is equally playful with its hide and seek game of tempo and style. Unusual, but not unsuitable German rap makes an appearance in “Pathos Ratlos featuring Baze”, a place where wobbly jazz synths and broken beat melodies suit the grave but not too serious poetic narrative. Winding down the ride is the melodica-friendly “Wiegelied”, a warm and soothing lullaby ending their enigmatic, confident journey.